Batia & Aleeza are pleased to offer the Bio-Herbal Mineral Sculpting Gel, created from their specially formulated blend of natural extracts and proteins. Unlike other gels that can leave the hair feeling stiff, heavy and un-natural, the Bio-Herbal Mineral Sculpting Gel tames frizz without extra build-up. When applied to moist hair after washing, the Bio-Herbal Mineral Sculpting Gel defines curls, adding body and shine. The final product in our Complete Hair Solution, our sculpting gel leaves your hair looking beautiful throughout the day. Ingredients: Water, Polyquaternium-11, Panthenol, Citrus Aurantium, Dulcis (Orange) Fruit Exract, Symphytum Officinale Leaf Extract, Rosmarinus Officinalis (Rosemary) Leaf Extract, Lavendula Angustifolia (Lavender) Extract, Propylene Glycol, Hydrolyzed Soy Protein, Hydrolyzed Wheat Protein, Hydrolyzed Wheat Starch, Dimethicone Copolyol, Polysorbate 20, Polysorbate 60, Lactamide MEA, Disodium EDTA, Benzophenone-4, Methylparabin, Diazolidinyl Urea, Fragrance. The unique blend of organic extracts used in the Bio-Natural Shampoo gives hair a healthy, beautiful shine. Although our shampoo is formulated for all types of hair, it has proven highly effective on curly and wavy hair. By isolating specific components in Wild Cherry Bark, Quillaja, Lavender, Rosemary, Orange Peel, Golden Seal Root and Henna, our shampoo penetrates the hair follicle, strengthening and revitalizing each strand of hair. 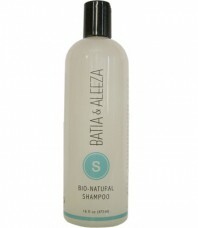 Our Bio-Natural Shampoo gives curly hair a soft and natural look, without the frizz. Unlike other products that claim to tame frizz, our shampoo leaves hair feeling light and clean, without extra buildup. The first of the products offered in our Complete Hair Solution, this shampoo is intended to be used everyday to achieve maximum results. Ingredients: Aloe Vera, Calendula Extract, Golden Seal Root Extract, Henna Extract, Hops Extract, Matricaria Extract, Quillaja Extract, Wild Cherry Bark Extract, Sodium Laureth Sulfate, Sodium Cocoyl Isethionate, Cocamidopropyl Betaine, Cocamide DEA, Panthenol, Phytantriol, Tocopheryl Acetate, Retinyl Palmitate, Cholecaiciferol, Polyquaternium-4, Methyl Gluceth-10, Jojoba Oil, Sweet Almond Oil, Sodium PCA, Hydrolyzed Wheat Protein (and) Hydrolyzed Wheat Starch, Glycol Stearate, Sodium Chloride, Methylparaben, Diazolidinyl Urea, Fragrance. The special hair conditioner formula developed for our Bio-Protein Conditioner adds moisture and body to any type of hair. For those unable to tame their curly or wavy hair our 60-second deep cleansing conditioner will ease frizz and control curls. The unique combination of extracts from Rosehip, Ginseng, Gotu Kola and Spirulina blended with rice, corn and whole wheat proteins strengthens hair, adding shine, without build-up. The second product offered in our Complete Hair Solution, Bio-Protein Conditioner offers superior heat protection from blow-dryers, curling irons and flat irons. When used on a regular basis our conditioner leaves your hair feeling natural and healthy. Ingredients: Ginseng Extract, Gotu Kola Extract, Rosehips Extract, Spirulina Extract, Aloe Vera Gel, Cetearyl Alcohol, Dicetyldimonium Chloride, Methyl Gluceth-10, Steapyrium Chloride, Tocopheryl Acetate, Retinyl Palmitate, Cholecaiciferol, Panthenol, Phytantriol, Hydrolyzed Wheat Protein, Hydrolyzed Wheat Starch, Hydrolyzed Corn Protein, Hydrolyzed Rice Protein, Cyclomethicone, Lactamide MEA, PEG-45M, Hydroxyethylcellulose, Propylene Glycol, Disodium EDTA, Citric Acid, DEA Methoxycinnamate, Benzophenone-4, Methylparaben, Propylparaben, Fragrance. 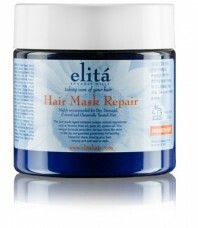 Elita Hair Mask Repair 16 oz. Highly recommended for Dry, Damaged, Colored and Chemically treated hair. The Elita’s Hair Mask Repair contains unique natural ingredients such as Keratin, fruit oil, palm oil and quinoa oil, that nourish and protect the hair from the root to tip, leaving your hair healthier, cleaner and easier to style. Paraben Free. Sulfate Free. Vegan. Not Tested in Animals. Made in the U.S.A.
*** Exact same product as Batia & Aleeza’s Hair Mask Repair but with manufacturer’s label instead. 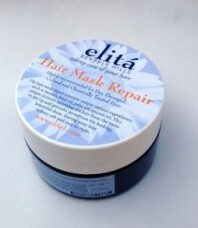 Elita Hair Mask Repair 8 oz. Shaper is the #1 selling Professional Hairspray in North America. Working and Finishing hairspray. Humidity resistant. Ideal for blow dry, roller set or flat iron. 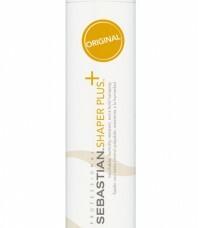 Use Shaper Plus for 24 hour flexible control that’s not stiff or sticky and holds up your hair in high humidity.